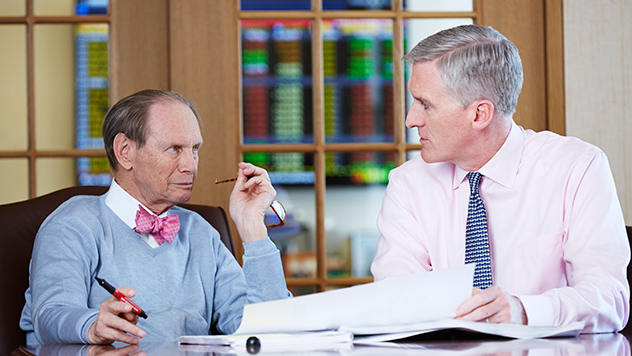 Chairman Chuck Royce and Co-CIO Francis Gannon look at a terrific year for small-cap stocks, capped by a bullish 4Q16, and explain why they think the good times for value (and small-cap active management) are just beginning. What drove the resurgence for small-cap value this year? Chuck Royce: I think a confluence of factors helped value recapture small-cap leadership in 2016. Reversion to the mean was probably the most significant reason. Small-cap value had trailed growth for an inordinately long time, which convinced us that value would lead in a new small-cap cycle. Small-caps experienced a significant bear market from their peak on 6/23/15 through the bottom on 2/11/16, falling 25.7%. We called it a stealth bear market because it received very little comment from anyone other than small-cap specialists such as ourselves. It's been followed by this very strong up phase. Francis Gannon: So far in this new cycle, we've also seen more return dispersion and declining correlation, a steepening yield curve, and an increase in bankruptcies. Cyclical or commodity-based areas did very well in 2016, and valuation and quality factors were back in high demand. These are all signs of growing normalization. Finally, and most important from my perspective, we're seeing animal spirits rekindled—another key signal. We think this can last, especially with the potential for increased industrial activity here in the U.S.
Have we reached the end of interventionist monetary policy? What are the implications of this for small-cap investors? CR: Yes. I would say that we have definitely turned the page on that highly anomalous period that stretched from 2011-2015 when extraordinary monetary accommodations caused the financial markets to behave in odd and unprecedented ways. In our view, we are squarely on the road back to a more historically normal market environment. FG: We think the Fed will keep raising rates over the next few years at least, as they suggested they would when the hike was announced in December. This was basically an acknowledgement that the economy has recovered its health and that extraordinary interventions are no longer needed. The implications for those invested in higher-quality, conservatively capitalized small-cap companies should ultimately be positive as access to credit for lower-quality companies should tighten appreciably as rates move up. Why do you think small-cap took off with such force after the election? CR: I think several elements contributed: investors realized that the era of 'lower forever' interest rates was finally over, and the pick-up in GDP growth instilled confidence. In addition, the certainty that comes after nearly every election, especially a contentious one, stoked bullishness. Part of it, too, was the positive momentum of the small-cap cycle itself. As an investor, how do you think about the recent political changes here in the U.S.? CR: I think there are a number of changes that could benefit small-cap companies, starting with a lower corporate tax rate. With the bulk of the money they make coming from domestic sources, many small-cap businesses would receive a disproportionate benefit from any rate reduction. So that's encouraging, as are the prospects for repatriation. I think the market has been showing a lot of confidence in the likelihood that these changes are put in place with bipartisan support. FG: The post-election environment has also seen a dramatic rotation away from safety—bonds and defensive stocks most notably. Investors are showing increased confidence in the potential for accelerated economic growth and the policy shift from monetary to fiscal—chiefly in the form of tax cuts and projected spending increases on infrastructure and defense. The critical question going forward is, how much of this has already been priced in? If we are in a new small-cap bull market, how far do you think it can go? CR: Based on history, it looks as if the rally can continue. I'd never try to call a top or a bottom, but small-cap rallies historically have gone beyond the Russell 2000's 44.3% increase from its February 2016 trough through the end of 2016. And the small-cap index was only 7.2% above its June 2015 peak at the end of 2016. We've seen 12 declines of 15% or more for the Russell 2000 since its inception in 1979. The median return for the subsequent recovery period was 98.8%. So we definitely see more running room for small-cap, even after such a strong and rewarding 2016. This new cycle has also seen improved results for several active managers—and many Royce-managed portfolios as well. Are you concerned about the possibility of a major correction after such a strong run? FG: We do not think we'll see a significant correction—that is, a decline of 15% or more. We also don't see any signs of a recession or Financial Crisis. However, a downdraft of anywhere from 8-10% would not be at all surprising given the strength of small-cap’s recent run. To be sure, intra-cycle corrections are very common—they're a normal part of every market cycle. When a downdraft does occur, we're prepared to act opportunistically by trying to turn any volatility to our long-term advantage. As pleased as we are with everything that’s happened, we don't know the degree to which these positive expectations have been priced in. Why do you think more cyclical areas are likely to lead within small-cap? CR: A lot of it relates to reversion to the mean. Cyclicals lagged for so long that a reversal looked inevitable, at least to us. That's what we're seeing in the current cycle. Financials are benefiting from a steepening yield curve that should help to lift bank profits, while the potential for accelerated economic growth is boosting Industrials and many Materials stocks. The latter are also benefiting from rebounding commodity prices that are igniting energy stocks as well. In addition, the U.S. consumer continues to spend. We see all of these as potentially ongoing trends. Although the global outlook is admittedly less certain, any rebound in worldwide industrial activity would also be a significant positive. FG: We've argued for the last year or so that many businesses in cyclical sectors needed only slight improvements to top-line growth in order to take off. We saw a lot of that this year through the end of the third quarter. More recently, we've seen how confidence in expanded growth is attracting more and more investors to equities as a whole, particularly those in cyclical sectors such as Financials, Industrials, Consumer Discretionary, Energy, and Materials. Are these the sectors that look attractive to you as you think about portfolio positioning for the years ahead? CR: In large part, yes. However, valuations are starting to look a bit rich in many areas that even into October still looked reasonably priced to us. As is the case in every bull market, we're becoming increasingly selective about what we buy. We've moved from an environment where there were a lot of stocks that looked very attractively priced to one in which the number of compelling valuations has contracted. In addition to our usual cyclical tilt, we’re looking in some defensive areas such as healthcare. It's very much on a stock-by-stock basis, with a focus on individual companies that combine attractive valuations with strong fundamentals. That's where we've historically located the most rewarding long-term opportunities. Do you expect certain fundamental attributes, such as earnings and profitability, to continue driving small-cap returns? FG: We do. We're in a positive GDP environment and should see fiscal stimulus, which does create some potential inflationary pressures but should also help to fuel growth. To be sure, no one was talking about inflation over the last several years. So the fact that the market seems to be acting in a more historically familiar way should play a large role in keeping investors focused on prudently managed, conservatively capitalized companies that are improving their competitive positions and profitability. Have you observed any increased optimism from the management teams you've met with recently? CR: We have, yes. The people in management are like the rest of us—their attitudes grow more optimistic as stock prices climb. So we definitely saw more relaxed and confident management teams in the last two months of 2016. What we're waiting on now is Capex spending, which is still not as robust as we'd expect in light of the sunnier perspective on growth. I suspect that some companies are taking and wait-and-see approach until after the inauguration before making their decisions. In any event, we're pretty confident about increased Capex spending in 2017 and 2018. Do you see an edge for active management going forward? CR: We do. Although the long-term record for active management's outperformance in small-cap is well established, there's an additional cyclical element that bolsters our confidence. Our recent whitepaper, The Undiscovered Connection, highlighted the link between value-led periods and outperformance for small-cap active management. If we're correct in our contention that a multi-year period of value leadership is just beginning, then we expect it to also be a strong period for small-cap active management. FG: Historically, value-led periods have also been good for many Royce Funds—2016 certainly was—and we're grateful to have been able to deliver such strong absolute and relative results for our investors. Mr. Royce's and Mr. Gannon's thoughts and opinions concerning the stock market are solely their own and, of course, there can be no assurance with regard to future market movements. No assurance can be given that the past performance trends as outlined above will continue in the future. The Russell Investment Group is the source and owner of the trademarks, service marks, and copyrights related to the Russell Indexes. Russell® is a trademark of Russell Investment Group. The Russell 2000 Index is an index of domestic small-cap stocks that measures the performance of the 2,000 smallest publicly traded U.S. companies in the Russell 3000 Index. The Russell 2000 Value and Growth indexes consist of the respective value and growth stocks within the Russell 2000 as determined by Russell Investments. The performance of an index does not represent exactly any particular investment, as you cannot invest directly in an index.